Greenway Industries has established a reputation as one of the premier residential paving companies in CT, proudly serving Greater Danbury, Ridgefield, Brookfield & nearby. Our experienced team of professionals can handle residential paving projects of all types and sizes. Greenway’s ownership and management has been in the paving industry here in the great Danbury area for more than 35 years and has continued to evolve with the rapidly changing paving industry. Our state of the art equipment combined with a highly trained and experienced workforce enables us to consistently deliver a quality finished product for our Brookfield customers. With an exceptional work ethic and substantial craftsmanship we continuously exceed the expectations of our clients in Danbury, Ridgefield, Brookfield and nearby areas. 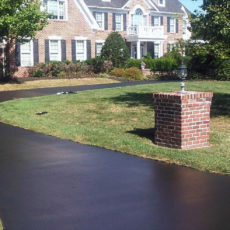 Whether it be preparing and paving a driveway for a newly built home, resurfacing an existing asphalt driveway, driveway reconstruction, crack filling, even asphalt reclaiming, Greenway Industries possesses the expertise, knowledge and equipment to complete this work at the highest standards of the paving industry and in the Greater Danbury area. 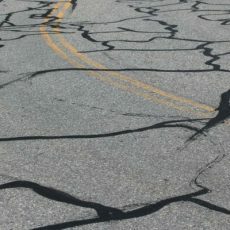 Cracks in your driveway or parking lot can spell disaster. Water can enter the cracks, freeze and expand the damage. Rooting plants can grow up in the cracks causing similar damage. A cracked driveway increases your susceptibility to water damage and can be devastating to your curb appeal. Crack sealing and filling is an extremely cost effective option to help extend the life of your driveway or Ridgefield parking lot. Crack sealing and filling is an extremely cost effective option to help extend the life of your driveway or parking lot. Thick, rubberized tar is injected along the cracks in your driveway or parking lot. The tar fills and seal the crack, helping prevent further damage. After a crack filling job we also recommend sealcoating the asphalt. Sealcoat is a protective coating that gets sprayed and spread over your driveway to help extend the life of the surface asphalt. Protect your Brookfield pavement from the elements, before you’re struck by a harsh Ridgefield winter. It’s cheaper to protect against damage now, than to wait for damage to occur which will be far more expensive in the future. Sealcoating can be applied to recently paved asphalt surfaces, or asphalt surfaces that were paved years ago. 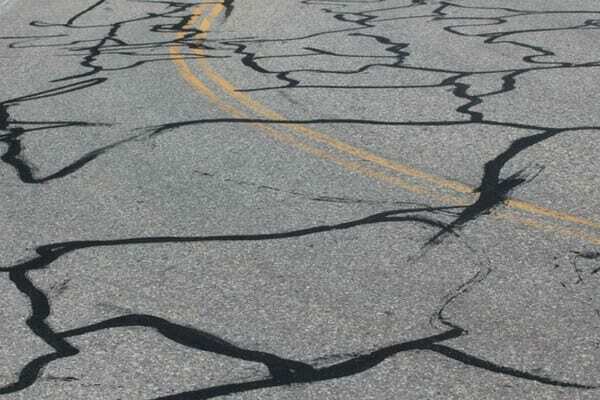 In driveways or parking lots that have begun to develop cracks, filling those cracks is essential to avoid water from entering the pavement structure and deteriorating the base. By combining the crack filling and sealcoat methods, you can increase your curb appeal by giving your Ridgefield driveway a fresh look, while at the same time the longevity of your pavement structure is increased. Water and ice melt faster on a sealcoated driveway because of its greater ability to pull in UV rays. Filling voids on the surfaces, minimizes exposure to oxygen and UV rays and reduces the ability of oil and gas to penetrate the asphalt. It also works as a waterproofing agent, reducing the rate that water enters your pavement, to protect against damage. Keep your Danbury, Ridgefield, or Brookfield pavement safe and strong.